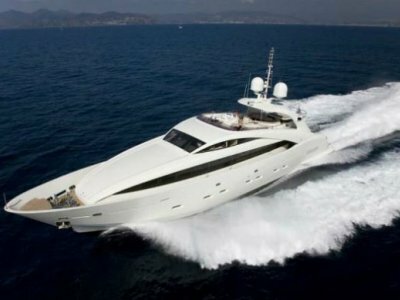 Understated luxury is the watchword, and, like all Pearl motor yachts, unrivalled quality is consistant throughout this elegant yacht. The technical systems of the boat are state of the art, as you would expect, and the twin ZF 4000 pods coupled to Cat C18 1150HP engines combine joystick manouverability with sports boat performance. With legendary Pearl sea keeping, creaftsmanship, innovation and style, the Paerl 75 brings many new features to this sector of the luxury boat market. Pearl Motor Yachts, one of the UK's leading luxury yacht builders, has announced a special collaboration with internationally renowned interior designer, Kelly Hoppen, MBE. Kelly creates stunning designs for homes, yachts and private jets for an ever expanding high profile client base. With the expertise and craftsmanship of Pearl Yachts married in with Kelly Hoppen, the result is understated luxury. The Pearl 75 is the result of 3 years of development and demand from current Pearl owners, some of whom have been involved in the planning process. The Pearl 75 will be the largest of the Pearl fleet, offering owners 4 luxuriously appointed staterooms and a unique open plan galley, lower helm and seating area sheltered under a conservatory style glass roof. Currently in production and due to be launched later this year, the Pearl 75 will offer owners luxurious living in expansive surroundings. 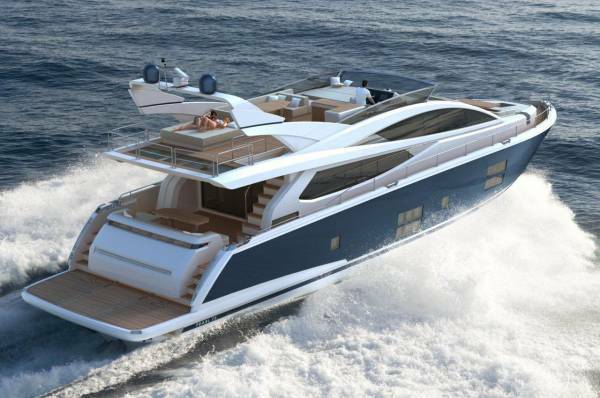 With multiple layout and styling options, each yacht will be created to meet the owners specific requirements. Attention to detail is everything, and Pearl has become renowned for impeccably finished quality builds. 2 x Cat C18,1150HP coupled to ZF series 400 pod drive with joystick control, providing approx 15% speed increase and 20% fuel efficiency increase over shaft drives, and greatly increased manouverability affording the owner the option of operating the boat without crew, if required. A comfortable cruising speed of 25knots and a top speed of 30 knots is anticipated, and more available with the optional 1250HP MTU diesel engines. 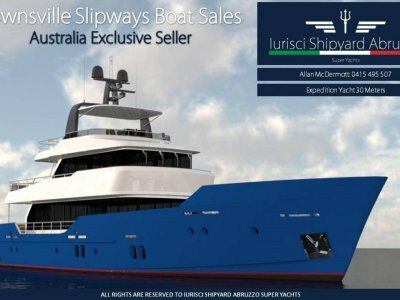 Four luxuriously finished guest cabins plus a crew cabin for two, spacious open plan saloon, 40' lcd Tv in saloon, 26in lcd tv in guest cabins, teak laid cockpit, flybridge and side decks, flybridge bar with sink, bbq, fridge, ice maker. 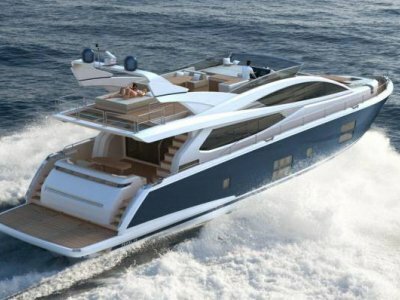 Hydraulically operated flybridge bimini. Central vacuum system, washing machine, tumble dryer, dishwasher, combination oven/grill, coffee machine, integrated audio system, Pearl crockery, cutlery and towel suite. Yes, with holding tanks and pump out systems. Fully equipped for entertaining or simply relaxing. As to owners requirements with electric or hydraulic anchor winches. 20KVA diesel powered genset. Huge battery banks for house and engine starting, Battery charger, reverse cycle air conditioning, E-plex touch screen electrical system, electronic engine controls with joystick mooring facility. 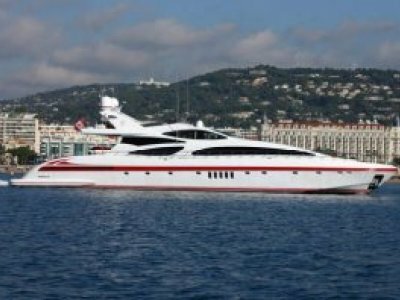 Hydraulically lowered and raise boarding platform, hydraulic passarelle, fordeck seating area with solid teak table and bimini, aft deck seating area with solid teak table, hydraulically operated jet ski garage. The new generation of Pearl Motor Yachts made waves in the industry, as renowned naval architect Bill Dixon, and celebrated superyacht designer Evan Marshall combined with Pearl to bring the 50,60, and now 75 to being. Pearls ability to provide personalised semi-customisation gives them the ability to listen and respond to the needs of individual clients without the restrictions imposed by mass production. The resulting "limited editions" serve to give Pearl boats some of the highest residual values in the industry.